I was sent a copy of 365 Days of Wonder from the publisher, Random House, last week! I wasn’t expecting it, but I’ve been really interested in it since I heard it announced. 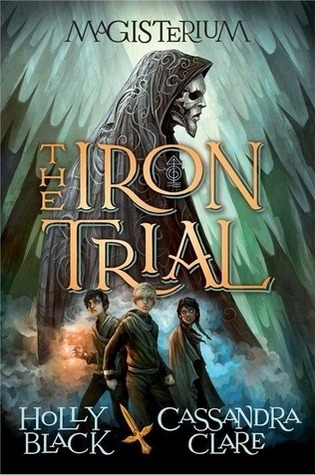 However, it’s not the kind of book I can review in terms of the plot, or the characters, etc… This is a (beautiful!) collective book of precepts, quotes and inspirational things – a page for each day of the year. 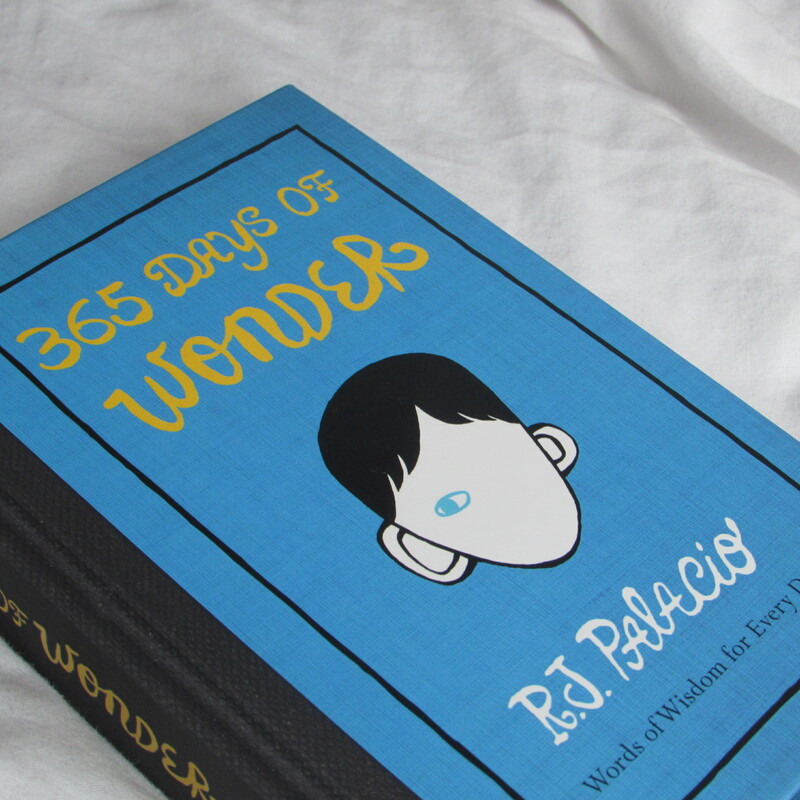 Wonder by R J Palacio (read my review here) is about a boy called Auggie, who has a cranial facial disorder, starting middle school – and it documents his first friendships and hardships there. His English teacher, Mr Browne, is in love with Precepts – motivational quotes etc – and asks his students, including Auggie, to mail him their own precept on a postcard over a school holiday. The precepts mentioned in the book were all really powerful and inspirational! 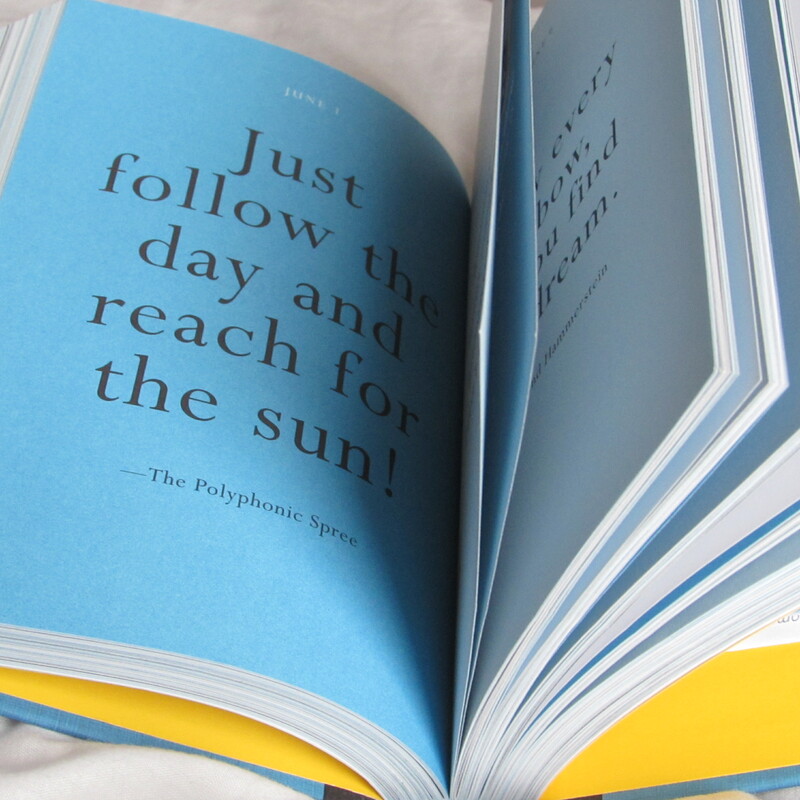 RJ Palacio, the author, received lots of postcards from readers and fans with their own precepts written on them – and over a hundred of them were selected along with some famous icon’s quotes, and were all combined to create 365 Days of Wonder. 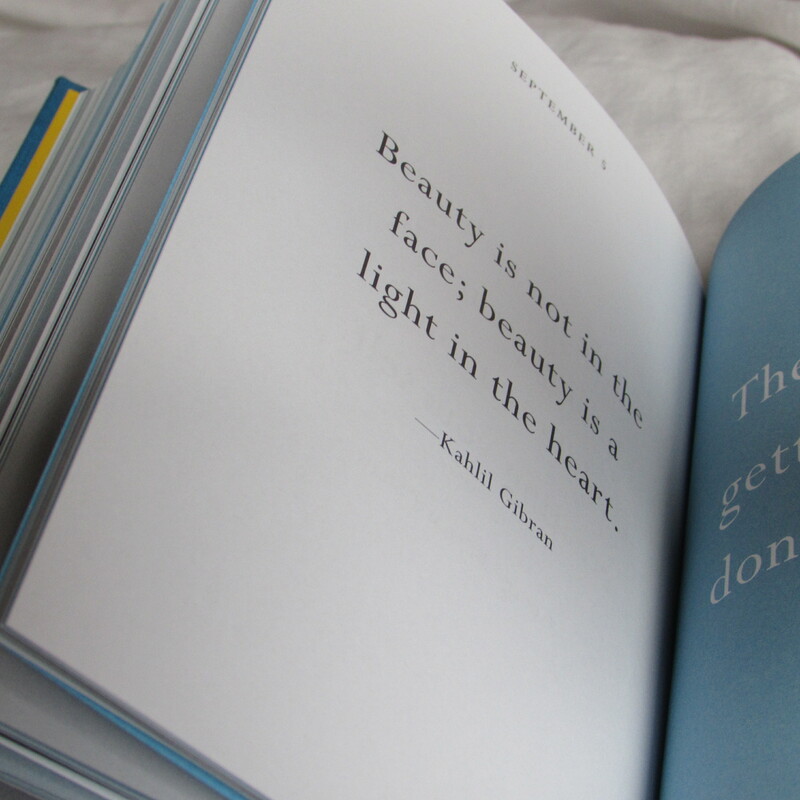 365 Days of Wonder is such a beautiful book! Every single page is different, but all of them are vibrant and gorgeous. There are typed precepts, handwritten ones, and occasional pictures. It’s such a beautiful book, whether you’re just flicking through it, reading it all in one go, or doing what the title suggests and reading a precept a day (for a year!). 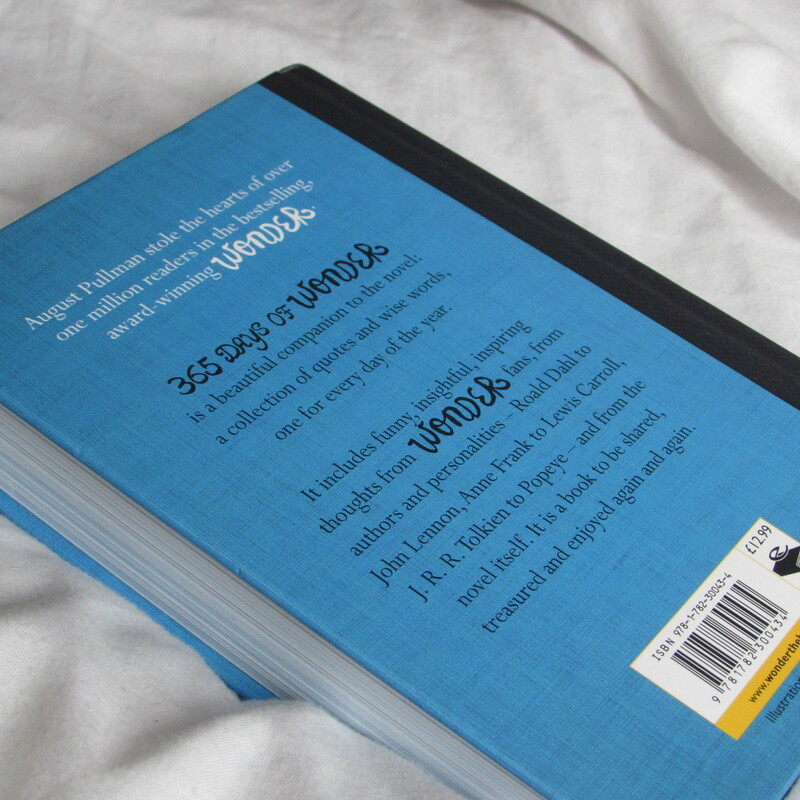 I received a copy of 365 Days of Wonder from the publisher, in exchange for a review. In no way at all did this affect my thoughts. 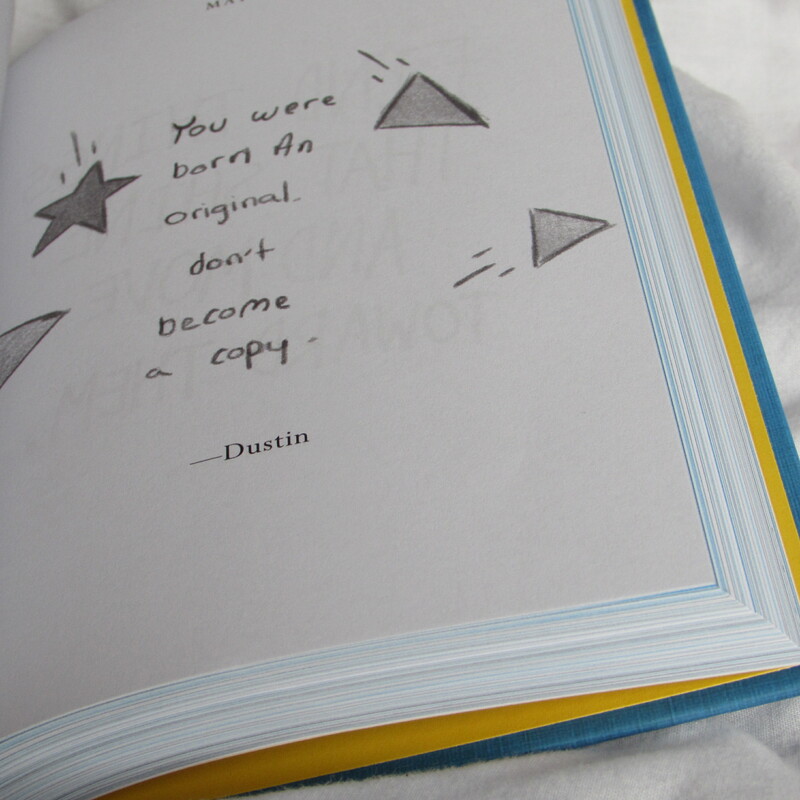 This entry was posted in Uncategorized and tagged 2014 release, arc, contemporary, hardback edition, inspirational quotes, middle grade fiction, mr browne's book of precepts, precepts, quotes inspirational, review, rj palacio, sent from publisher, spin off, Wonder on August 18, 2014 by keithbwalters.